What’s the secret to selling ebooks? This week I hit a monumental milestone that I will never forget: I’ve sold 1,000 books this month, and it’s not over just yet. This is mind-blowing and beyond exciting, but also humbling, because next month I could drop down to 100 sales. 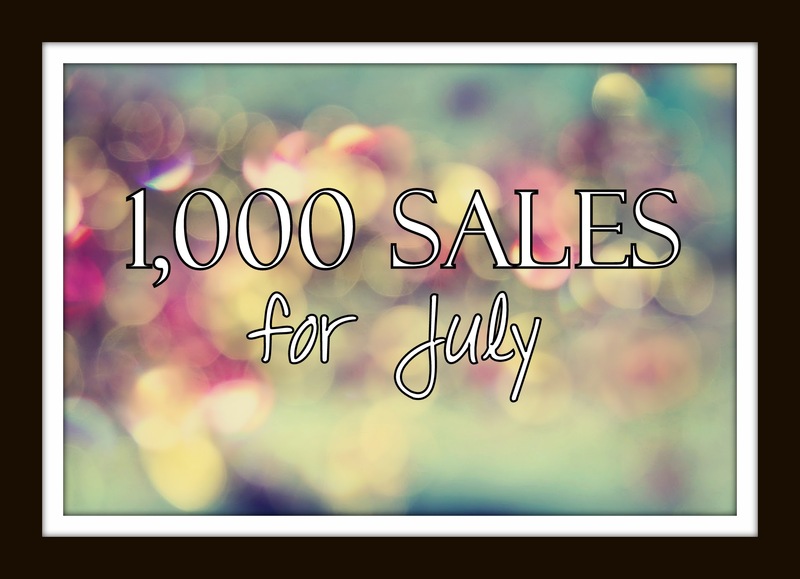 I’ve been asking myself, ‘What is the secret to selling ebooks?’ You might be wondering how I sold 1,000 copies this month, and I could list all the things I’ve done over the last year to get to this point, but would it help you? I’m not sure. Write. This sounds simple but it’s not. Write, write, write…and then write some more. Write until your manuscript is as close to perfect as you can make it. And then go through and re-write the weak points. Hire an Editor. An actual Editor, by the way…someone who gets paid to edit manuscripts and can be brutally honest with you. Their job is to make sure your work is the best it can be. Know your audience. If your book is about an 18yr old heroine, marketing to the YA or NA crowd will get you more dedicated readers than marketing to the Adult Contemporary crowd. Master Social Networking. Why? Because you can meet thousands of strangers online that might want to read what you have written – and unless you hit the streets, stopping all those thousands of people who might fit your audience, networking online is the best way to go. Twitter, Facebook, Google+, etc…all great places to meet new people who like to read. Be careful with this though – there is a fine line between sharing your books and spamming your followers. Brand yourself. Make your name something people will remember by labeling it the same way on each book, using hashtags with your name, and having places you can send people to online for more info. Websites are great, blogs are wonderful, Author pages are mandatory. Be reachable, and readers will find you. Listen to your readers. Do your biggest fans want a follow-up to your last book? Do they seem interested in you combining genres or would they love to read something different from you? In the end, the writer is in charge of what they write, but if you know what your biggest supporters would love to see, it can help steer you in a direction that makes your current fan base happy and brings in a new audience. Keep writing. So you released a book and it is doing well, what now? Well, it’s natural for a book to have a peak time, and eventually that book will taper down and if you don’t have a new release, or the promise of a new release for your readers to look forward to, your sales will slow or even, worst case scenario – stop. Market what you have out, always, but keep writing. Putting fresh books out there keeps your biggest supporters reading, but also continues to bring in new readers. Make friends. Yes, writing is an isolating job at times. It’s super easy for us to hide at our desks all day and perfect the art of being an introvert. But everyone needs friends. And that includes writers. Find a group you can relate to locally, or online, and surround yourself with them. They are your peers, your inspiration and your support. They are your people. Love what you do. If you don’t love writing, it will show in your work. If you aren’t in love with your book – who else will be? Writers are their harshest critics, so don’t let that fool you – writers are usually NEVER 100% satisfied with their projects. But, that being said, you have to be able to look at your story and say, ‘I like this. I would read this’, otherwise your chances of anyone else saying that are pretty slim.